Satin or high polish tubular stainless steel frame with horizontal or vertical stainless steel wires. 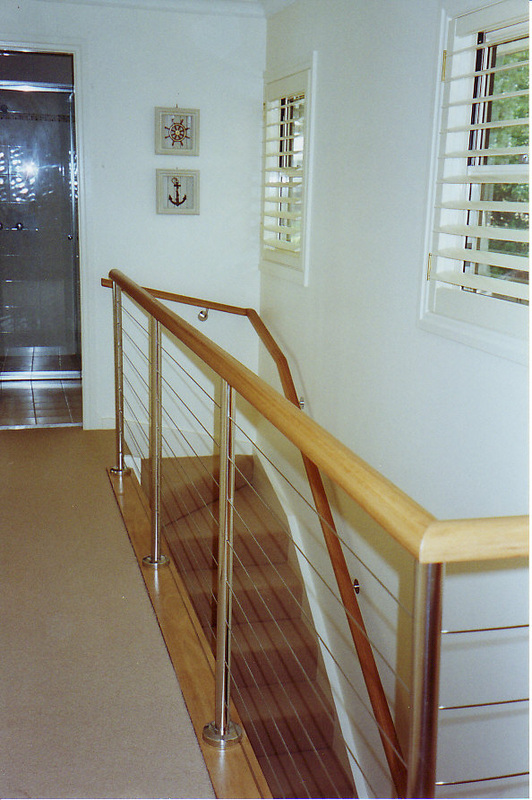 Balustrades are a work of art. 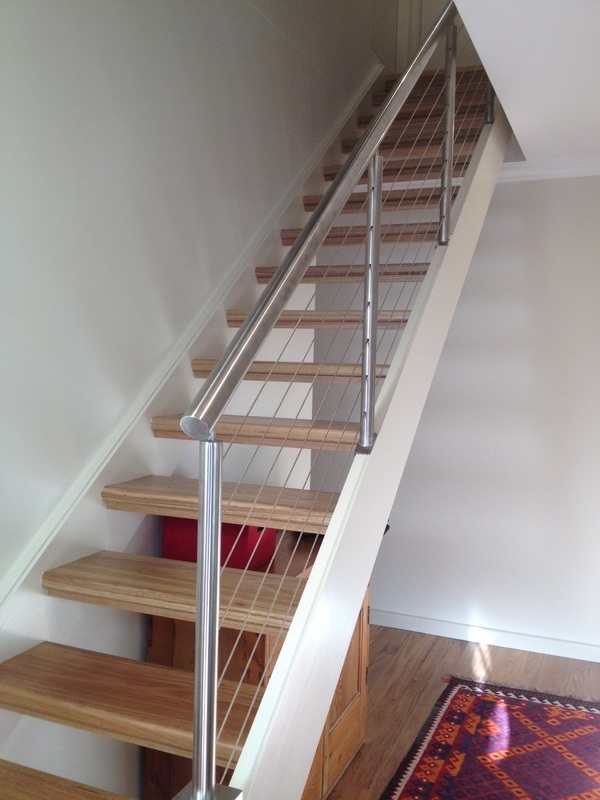 Fully welded with polished mitres. Not just pieced together with joiners. 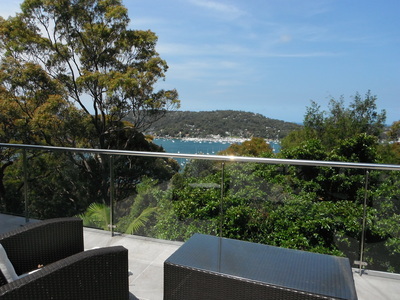 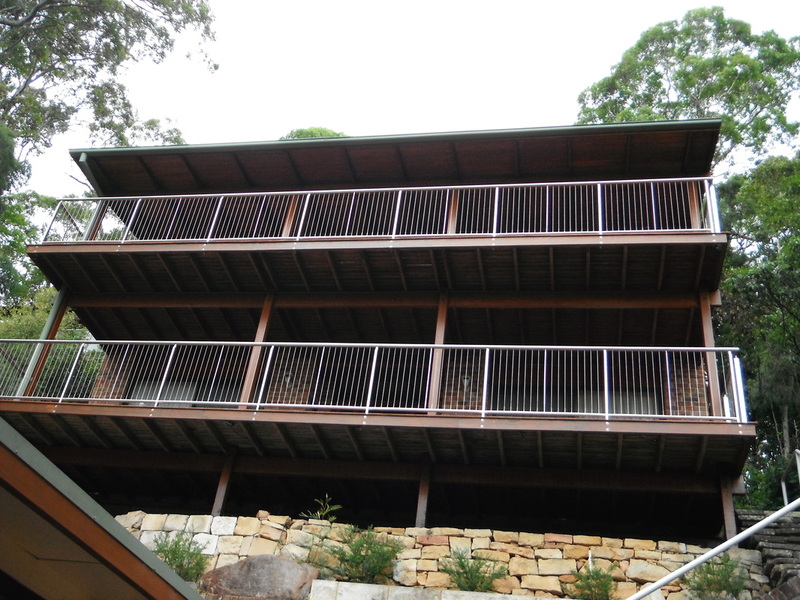 Horizontal wires are only suitable for decks up to 4m high. 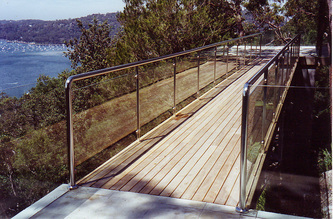 Otherwise I have a great vertical wire balustrade solution. I also fabricate made to measure flat bar stainless steel posts and install stainless steel wire infill with hydraulically pressed terminal ends for timber balustrades. I supply hardware at ﻿﻿﻿cost price and charge an hourly rate for installation﻿﻿﻿. 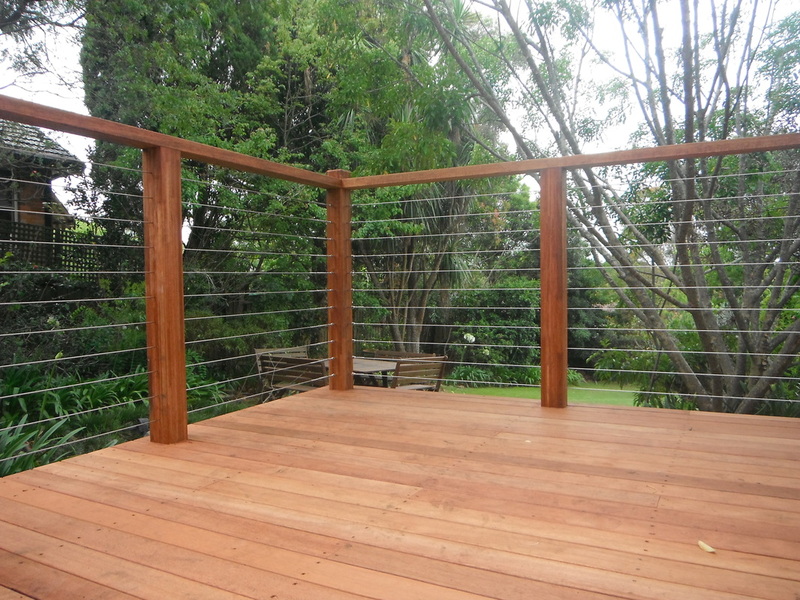 I only use quality Korean made wire rope which has superior rust resistance and surface finish. 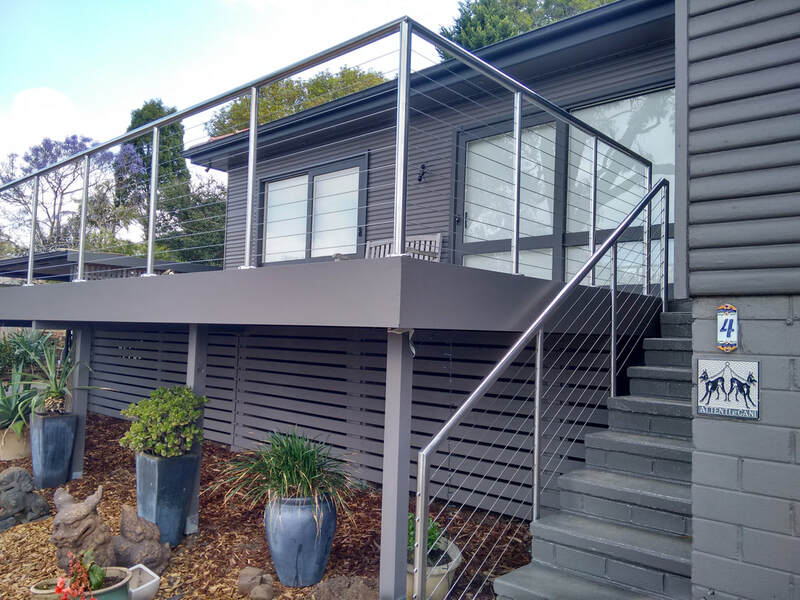 11 runs of wire spaced at 80mm with posts spaced at 1000mm will meet the tension requirements of National Construction Code (formally known as the Building Code of Australia). 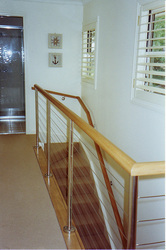 Machined timber is an option for top rails and handrails. 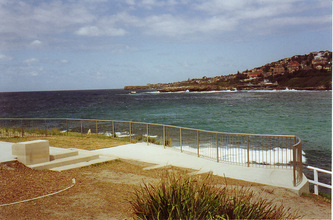 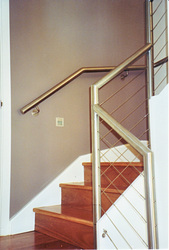 Handrails are required for all private stairways where there is a change in elevation of one metre from May 2012. 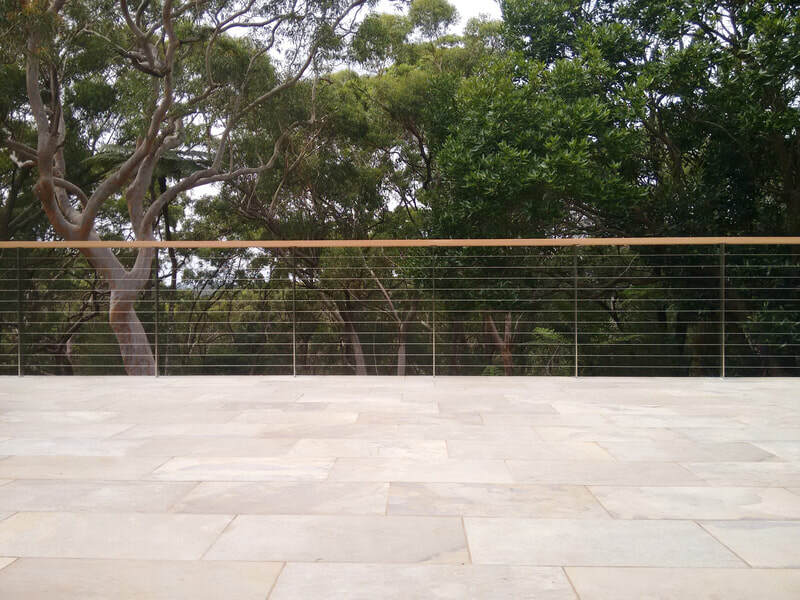 Stainless steel wires can also be used to create a stainless steel wire trellis on featureless walls or to train vines between posts. I also fabricate and install stainless steel stair and ramp handrails and kerb rails for people with disabilities as per AS1428.